Aloha friends! I have had a very restful week and am actually looking forward to heading back to school tomorrow. I have so many fun things planned for the remainder of the month that I can't wait to get started!! Okay, maybe I'm not that excited, but I know my students will be once we start rolling with our nocturnal animals and our Halloween activities. Our school loves Halloween and we have a big parade every year. I try to have the kids do some sort of artsy cooking project for our party instead of bringing in lots of sugary treats. 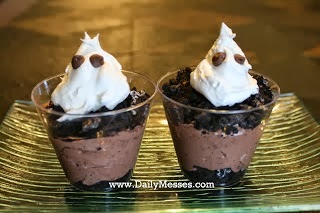 Last year we made these cute little treats. 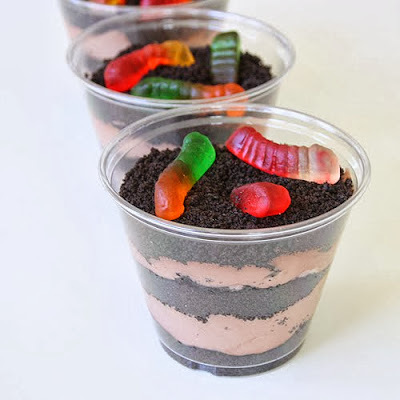 The year before we did dirt cups. Well last week I saw the cutest picture in a Good Housekeeping magazine of some Marshmallow treats on a stick. They used fondant to decorate and I didn't think that would be ideal to use with 2nd graders. So I gathered up my taste testers and we decided to make them with what we thought would be fun. I think there are tons of possibilities with this one! They are a bit sugary, but so is Halloween. My daughters loved making them and didn't have any complaints about eating them. I usually send home a letter a week before Halloween asking for donations. If each child brings in one item to decorate with I avoid the onslaught of random sugary treats that show up on Halloween day. Some sweet food for thought.